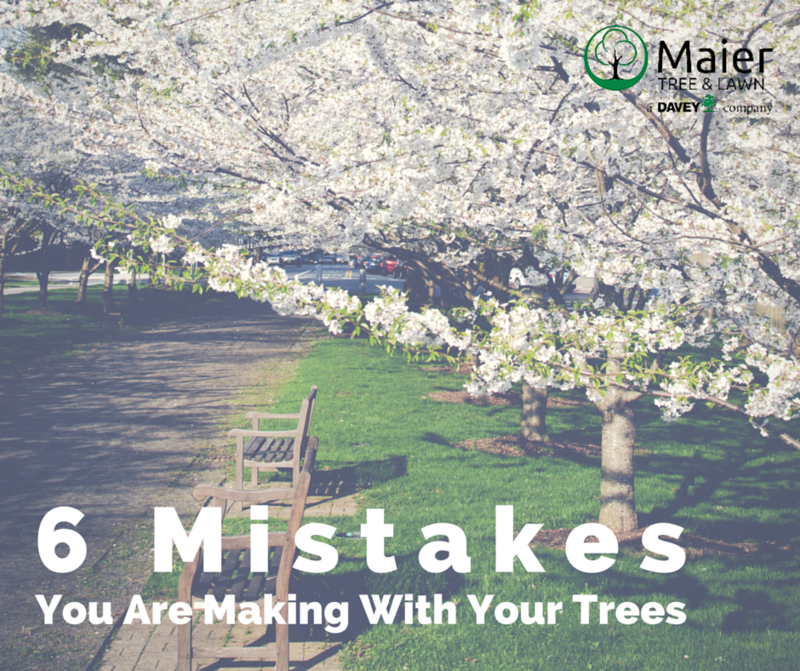 Taking care of your trees might seem simple enough, but a few honest mistakes might be preventing your trees from thriving. Once you take the right steps to tree maintenance, the rest is easy. The folks at Maier Tree & Lawn are known around Minnesota, as some of the best tree care practitioners. Leave it to us to help you correct some common mis-steps. Don’t plant your trees too deep. Roots go in the ground and stems/trunks stay above ground. The first root should be right at the soil line. Don’t mulch your trees too deep. Mulch turns into soil, so see number 1. There should be 2-4” of mulch over a root system and at the trunk it should taper to zero. Avoid planting trees so close to each other. Evergreens should have 16’ spacing and deciduous trees twice as much. If you are planting species that don’t get very big, you can plant closer. Keep in mind spacing to your house as well. Trees look small when they are small, however try to see their potential when you plant them. Don’t prune your trees randomly. Every pruning cut should have a purpose and be calculated. Without a plan before pruning, you run the risk of getting carried away and trimming away too much. It is best to have a professional prune your trees based on your desired objectives. Avoid putting wrap on the trunk of your trees. If you need to protect your trees against deer or rabbits, use a fence material placed away from the trunk supported by a stake. Wrap does not prevent sun scald. It is best to plant and prune properly to avoid it. Stop adding fertilizer to your trees. Fertilizer purchased at garden centers or superstores contains a quick release Nitrogen that is most often harmful to your trees. There are only a very few tree and shrub fertilizers that add benefit. Maier Tree & Lawn has one such fertilizer with Davey’s ArborGreen Pro. This is by far the best fertilizer on the market with a 12-month slow release fertilizer that mimics the carbon structure of natural forest soils. Here is the great news, Maier Tree & Lawn can help you! We love knowing and doing the right things for your trees.